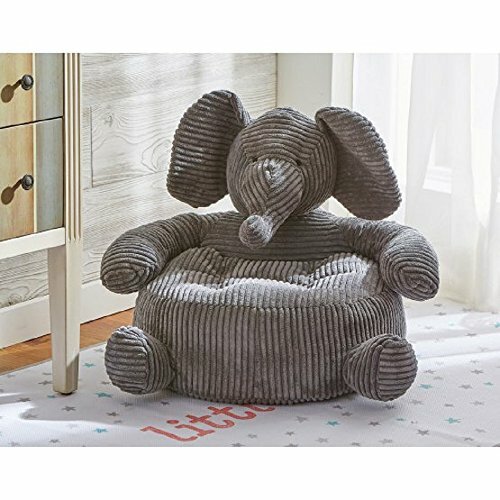 The perfect size for youngsters, the Elephant plush children's chair makes a comfy addition to play rooms, kid's bedrooms, nursery, living room and gaming areas. It features a comfortable cushiony soft construction and an exterior made from oversized corduroy. The facial features are embroidered, and it can be spot cleaned to keep it fresh. It comes in a rich gray color and is very soft, ideal for children's use. Dimensions: 22W x 22L x 16H in.